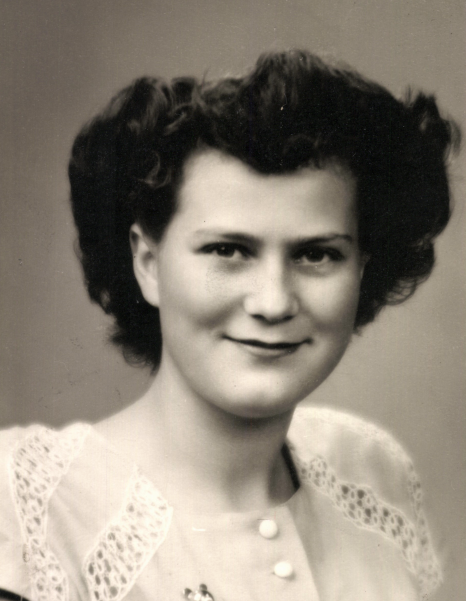 Verla B Muir Jensen, 86, our loving mother, grandmother, great-grandmother, sister, and friend passed away peacefully in Springville, Utah surrounded by family on 14 November 2018. 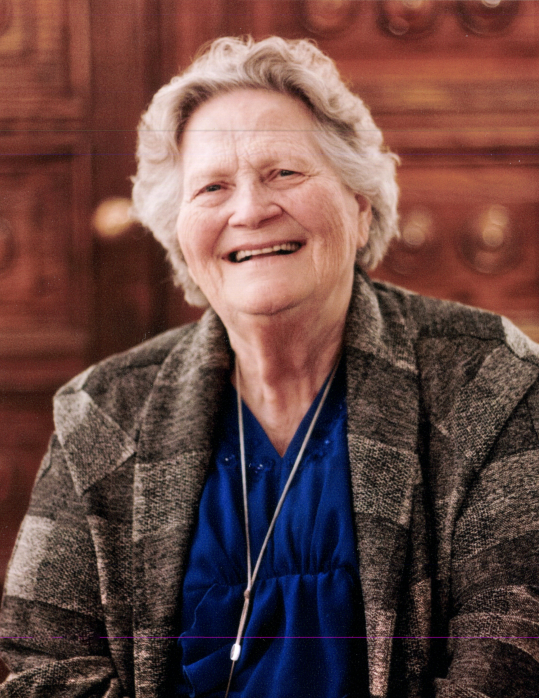 Verla was born on 4 August 1932 in Muir’s Market, a store/home combination, in Logan, Utah, the daughter of Vernee (Vern) Barlow Muir and Bertha May John. She was baptized into the Church of Jesus Christ of Latter-day Saints in the Logan Temple and remained a faithful member throughout her life. She served in many positions including Primary teacher, Relief Society teacher, compassionate service leader, chorister, and stake missionary. She loved music, played the clarinet, and often sang duets or solos. She always had a smile for everyone. Verla graduated from Logan High School and met Warren Edgar Jensen while attending Utah State University. They were sealed for time and eternity in the Logan, Utah temple on 24 January 1952 and they were blessed with seven children. 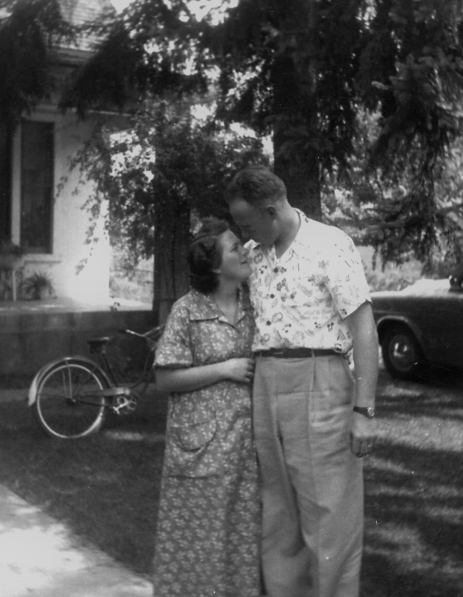 Warren served in the Air Force and he and Verla lived in Germany, France and Massachusetts before they settled down on the farm in Delta, Utah. She supported her husband in his many roles and he gave her credit for raising their children while he was flying and farming. He said Verla was the “Wind Beneath (His) Wings” and at their 50th wedding anniversary had that song sung to her. Verla loved people, learning, and spending time with family. She felt her biggest accomplishment was raising her family. Verla is preceded in death by her husband, Colonel Warren Edgar Jensen; her parents, Vern and Bertha May Muir; two sisters, Jacqueline Muir, and Marva (Ross) Weaver; and two sons, Barlow Jensen, and Douglas Arthur Jensen. Verla is survived by three sisters, Anna (Richard) Harper, LuDean (Collins) Thompson, and Margaret (Larry) Olpin; five children, Regena (David) Garfield (Tremonton, UT), David Warren (GayLynn) Jensen (Mapleton, UT), Marsha Michelle (Val) Cummings (Murray, UT), Sherie Ann (Doug E) Flagg (Grace, ID), and Valinda Rose (Springville, UT); a daughter-in-law, Shaila Shova (Doug) Jensen (Wauchula, FL); and thirty-four grandchildren and great-grandchildren. Funeral Services will be held in the Mapleton 16th Ward chapel of the Church of Jesus Christ of Latter-day Saints at 1316 S. Main, Mapleton, UT on Tuesday, Nov. 20, 2018 at 10 am. Viewings will be held on Monday, Nov. 19, from 6-8 pm and Tuesday, Nov. 20, from 9-9:30 am (same location). Interment will be in the Delta City Cemetery at 2:30 pm. The family gives special thanks to the Ashford Assisted Living and Memory Care employees and the First Choice Home Health & Hospice staff who made Verla’s last days as comfortable as possible. In lieu of flowers, the family requests donations be made to the Humanitarian Fund of the Church of Jesus Christ of Latter-day Saints or the American Cancer Society. Online Condolences may be submitted online to www.serenicare.com.